Summer is upon us, and that usually means more time spent together as a family when the kids are out of school. Even homeschool moms take a few breaks in the summer. 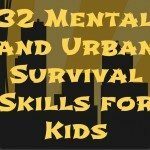 This time of year is a great time to hone your family’s survival skills. 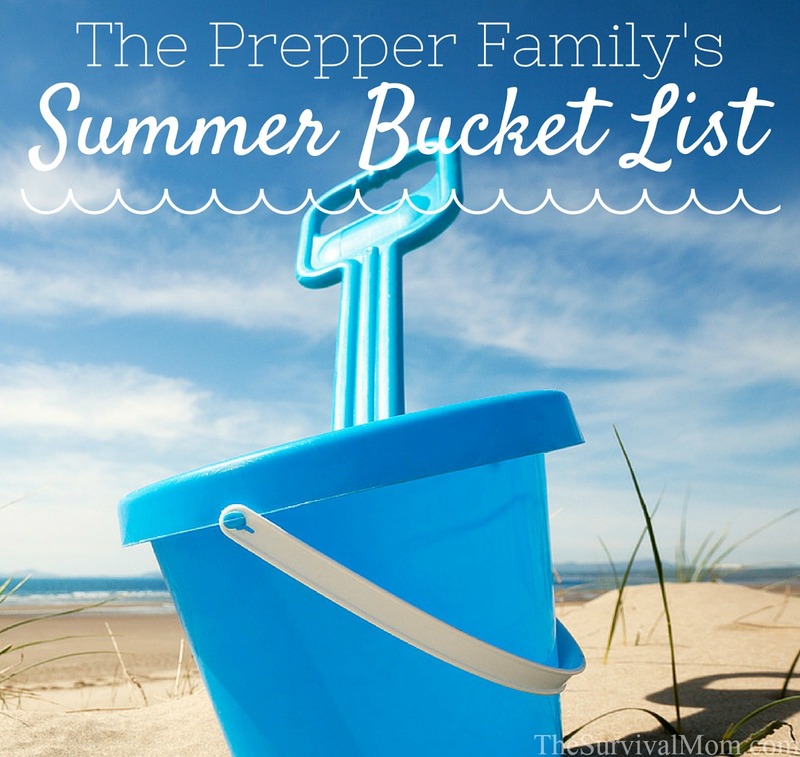 I’ve put together a summer bucket list for the prepper family. See how many things your family can check off this summer. Have fun with it and get your family involved! Garden, but be sure to grow at least one new-to-your-family plant. Cook a meal over a fire. Give your food storage a once over for expiration dates and damage. Restock to desired supply levels. Have children cook a meal by themselves in the house, with supervision. Have children cook a meal by themselves on the grill. Supervise! Have children cook a meal by themselves over the fire with plenty of adult supervision. Use your personal water filters at a local park. Visit several local farmer’s markets to find local food sources. When you start to get low on groceries, wait an extra day before shopping and eat from what is on hand. Put in a rain barrel. Dehydrate a fruit, a vegetable, an herb, and some meat. Preserve a fruit or vegetable using a water bath canner. Preserve a vegetable or meat using a pressure canner. Visit a local u-pick farm. Have a day with zero food waste. Only cook with cast iron for a week. See the dutch oven survival kit for ideas. Do an Evacuation drill (change it up with 1-hour, 30-minute and 15-minute notice evacuation drills.) 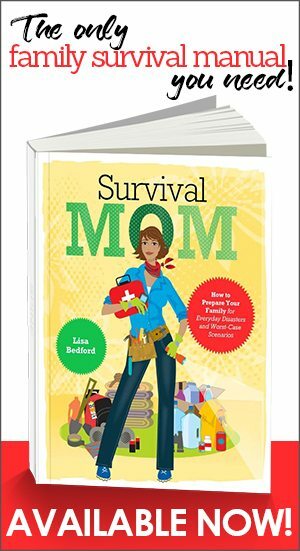 This handbook provides all you need to know about getting ready for evacuations. Use power at home for a full day and night. Only use generator power for 6 hours. Spend a day unplugged from electronic devices to see how your family does with no internet connection. Check clothing and shoe sizes in vehicles, bug-out-bags, and tornado/storm shelter. Add money to your cash stash by holding a yard sale. Buy a tarp if you don’t have one, and then brainstorm all the ways that a tarp could be useful in an emergency. Rotate any gas/diesel you have stored and refill right away. Check expiration dates on any bleach/sanitation supplies and restock. Have children start a fire from scratch. 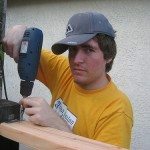 Build something functional from scratch with wood, a handsaw, nails, and a hammer. Buy a new piece of cast iron and learn how to season it. Find 10 local birds and learn about them. Select 10 local insects or small animals and draw some of your favorites. Identify at least 10 different trees that grow in your area. Have everyone try out a fire extinguisher. Try starting a fire without a lighter or match. Learn to tie 5 different knots. Plan evacuation routes on a map and then actually drive those routes to become familiar with them. Walk home from work. 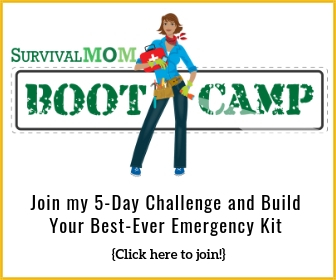 Bonus points if you can ably carry your emergency kit/bug out bag. Show the kids how to walk home from school safely. Play the “What If …” game. Discuss social media safety rules. Play board games, so you know the rules before you lose power and those games become a major form of entertainment. Work on a family history tree and talk about family medical history. Do craft time using supplies from the recycle bin. See how many ways you can use a kiddie pool. Visit a local history museum or county historical society to see how people grew food by hand in your area. Practice memorization with children — stories, emergency addresses, and numbers, directions, songs. Relax and go on a day trip or vacation. Discuss how you would handle some emergency situations en route and at your destination. Write letters. Can your children read and write in cursive? Can they address an envelope and put a stamp in the correct corner? Start learning a foreign language as a family. DuoLingo and Mango Languages are 2 free websites that teach foreign languages. Get their apps on your phones, too! 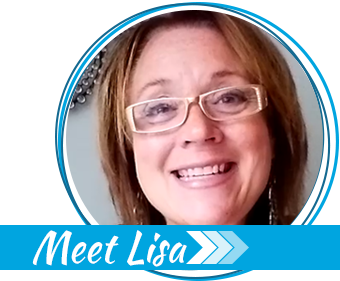 Get to know your neighbors. Take them cookies or host a neighborhood cookout. After you check each item off your list, make sure to talk about what you learned as a family. 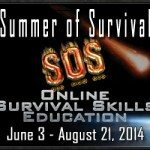 Take notes on what worked, lessons learned, things to do better next time, and if there is anything to add to your survival supplies. Take pictures and create a photo book of the summer adventures as something you can look back on as a family. 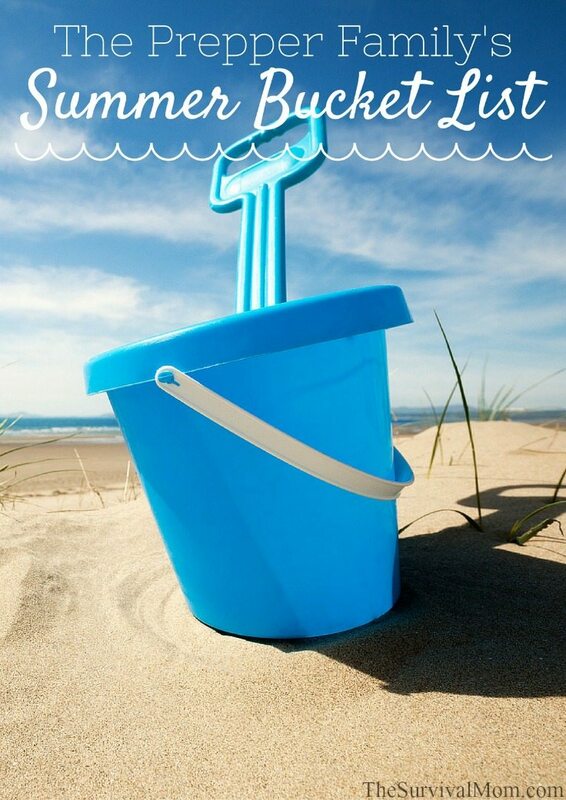 Creating a summer bucket list could be the start of a new family tradition. Don’t forget to add your own items to the list. 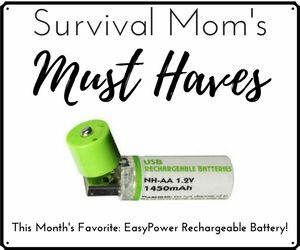 Click HERE for a printable version of this list! Want even more ideas for a fun summer? The 12 Days of Christmas: Day 2, Read All About It! Really enjoy the BBC Wartime Farms , outstanding ! When they teach their own !